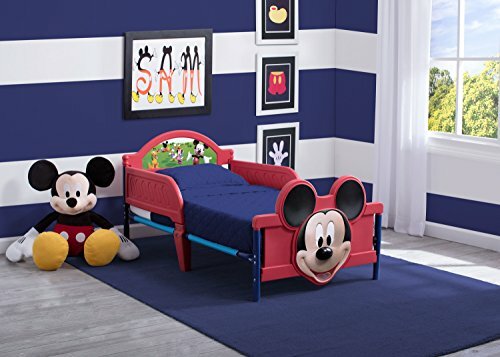 Disney Mickey Mouse 3D Toddler Bed is suitable for transitioning your little one from crib to big bed. 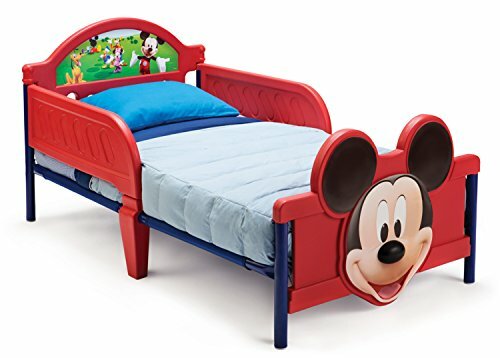 It is made from high quality plastic and metal frame. 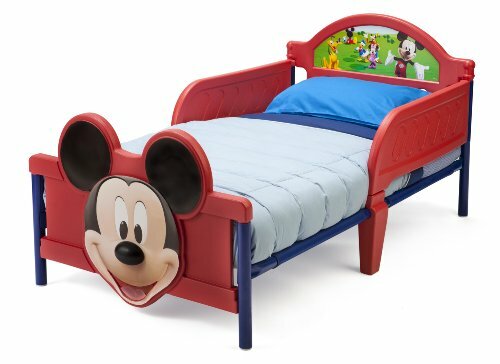 The bed uses a standard crib mattress (sold separately). Meets all JPMA safety requirements. Some adult assembly is required.Delta is trusted by millions of families worldwide. 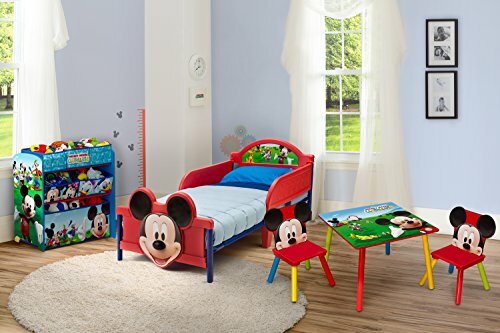 Delta continues to be the industry leader in manufacturing cribs and providing safe, high-quality and budget-friendly children’s furniture for baby’s comfort and your peace of mind. Safety Tips: Children will sometimes try to climb on furniture, so make sure to secure all dressers, bookcases, desks and any tall wall furniture with angle braces or anchors. Anchors are usually included with the furniture when purchased; otherwise they can be obtained at any hardware store. This will secure and help to prevent the furniture from tipping over onto a climbing child.